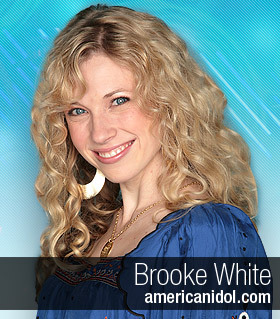 Brooke White is known as a contestant on American Idol in season 7 where she took 5th place. In 2005, White released her first studio album, called Songs from the Attic. 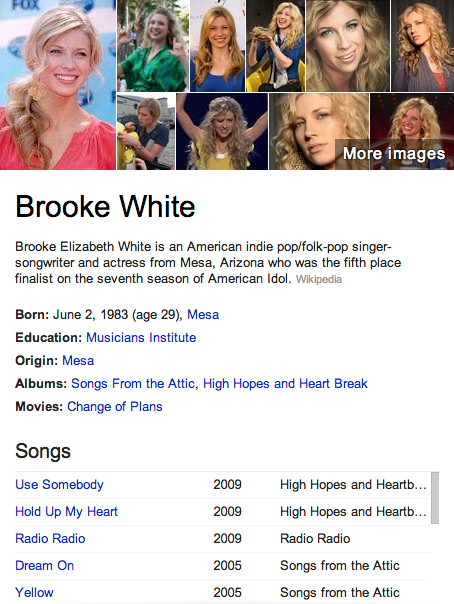 White’s first post-Idol album High Hopes & Heartbreak was released on July 21, 2009. The first single “Hold Up My Heart” was released on February 25, 2009, and the song debuted at number 47 on the Billboard Hot 100. The second single “Radio Radio” was released on June 23, 2009. She is also half of the duo Jack and White.